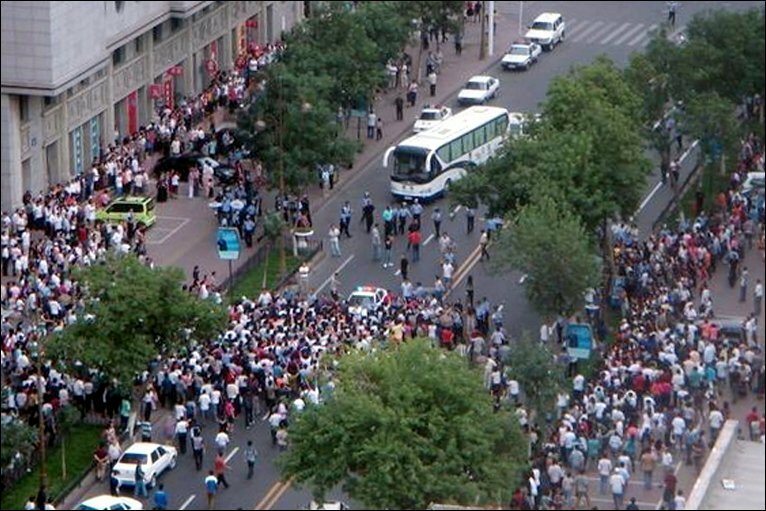 Further pictures of Urumqi from the BBC, who also report that the unrest has spread to Kashgar, in the south of Xinjiang, which has been the focus of many protests in the past. 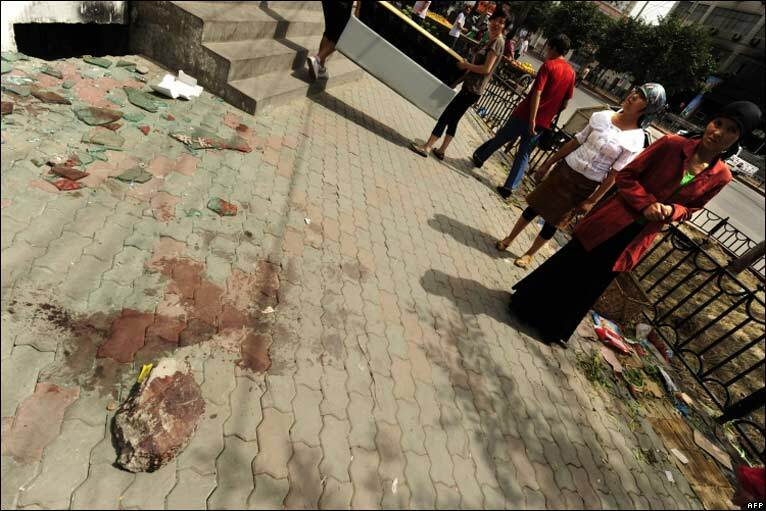 The authorities claim that about 200 people were “trying to gather” at the Id Kah mosque in the centre of Kashgar. They also claimed to have information about plans to organise unrest in Aksu and in Yili prefecture (which was the site of the largest riots to date, in 1997). 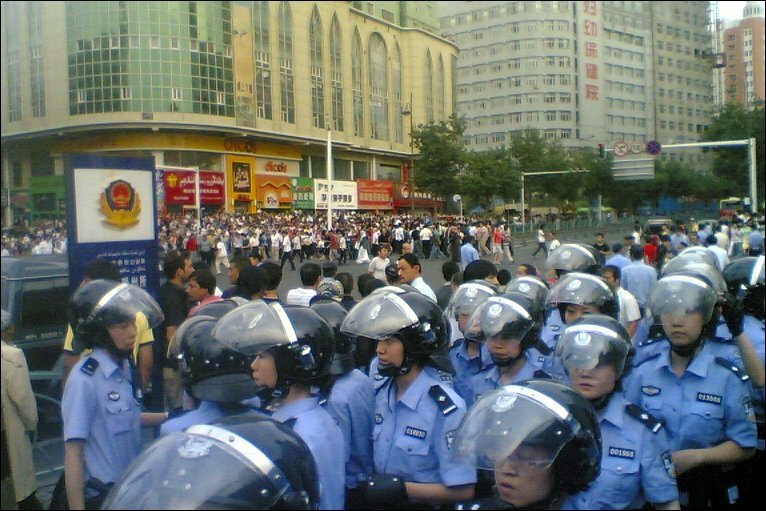 Given that all of the police and paramailitary troops are likely to be on full alert, it seems unlikely there will be any more large scale disturbances like the one in Urumqi. It is not just the sheer number of police and troops that make this likely- they are also organised in rings that encircle most of the major towns in the province.